The WTO provides a forum for negotiating agreements aimed at reducing obstacles to international trade and ensuring a level playing field for all, thus contributing to economic growth and development. India finds itself spectacularly isolated after its veto at the WTO last week and refusal to adopt the Trade Facilitation Agreement (TFA). The TFA had been agreed to last December at the Bali ministerial meeting (WTO). India’s new government’s opposition to this treaty shocked a lot of people across the world. The Trade facilitation agreement encourages all countries to move towards simplifying, streamlining and standardising rules for movement of goods. Why would any country then oppose something as useful as that? July 31 was the deadline and India would not budge. 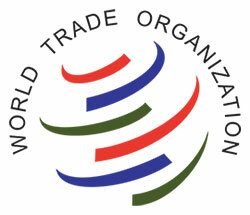 The World Trade Organization (WTO) is an organization that intends to supervise and liberalize international trade. The organization officially commenced on 1 January 1995 under the Marrakech Agreement, replacing the General Agreement on Tariffs and Trade (GATT), which commenced in 1948. The organization deals with regulation of trade between participating countries by providing a framework for negotiating and formalizing trade agreements and a dispute resolution process aimed at enforcing participant's adherence to WTO agreements, which are signed by representatives of member governments and ratified by their parliaments. The World Trade Organization (WTO) is the only global international organization dealing with the rules of trade between nations. At its heart are the WTO agreements, negotiated and signed by the bulk of the world’s trading nations and ratified in their parliaments. The goal is to help producers of goods and services, exporters, and importers conduct their business. There are a number of ways of looking at the World Trade Organization. It is an organization for trade opening. It is a forum for governments to negotiate trade agreements. It is a place for them to settle trade disputes. It operates a system of trade rules. Essentially, the WTO is a place where member governments try to sort out the trade problems they face with each other. 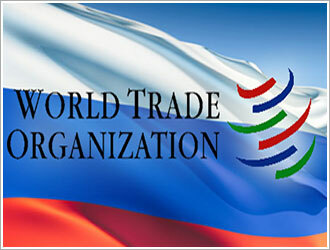 The World Trade Organization (WTO) is an organization that intends to supervise and liberalize international trade. The organization officially commenced on 1 January 1995 under the Marrakech Agreement, replacing the General Agreement on Tariffs and Trade (GATT), which commenced in 1948. The organization deals with regulation of trade between participating countries by providing a framework for negotiating and formalizing trade agreements and a dispute resolution process aimed at enforcing participant's adherence to WTO agreements, which are signed by representatives of member governments and ratified by their parliaments. Most of the issues that the WTO focuses on derive from previous trade negotiations, especially from the Uruguay Round (1986–1994). The WTO’s objective is to help trade flow smoothly, freely, fairly and predictably.